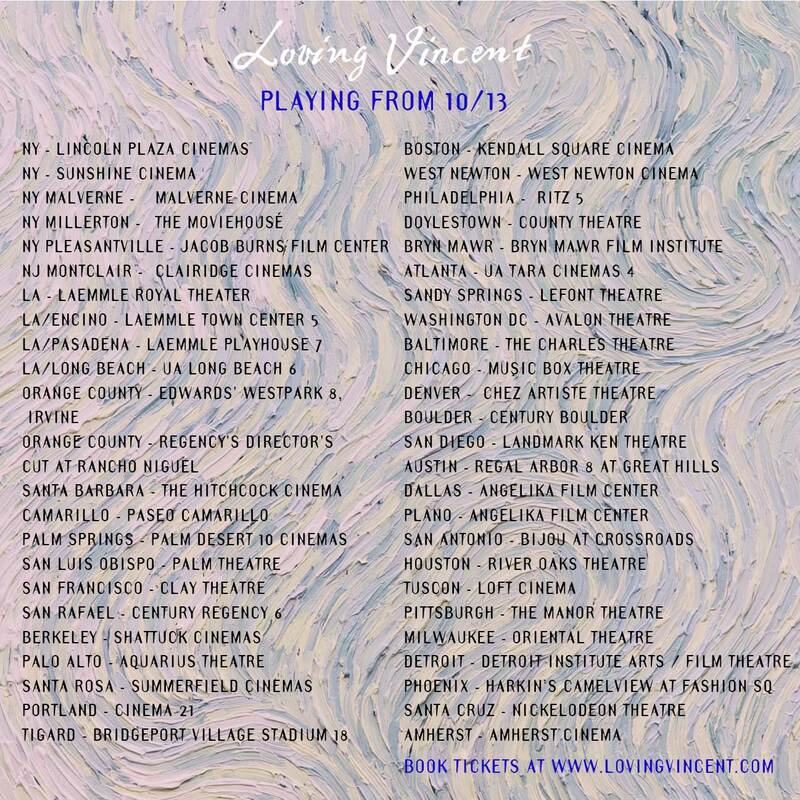 With sell out screenings and some amazing reactions to the film from audiences, more and more cinemas are adding screenings of Loving Vincent in America! The film has extra showings in most locations, and opens in new cities today across the country. View the theatres showing the film this week below, and visit our ever growing list to find a showing near you.